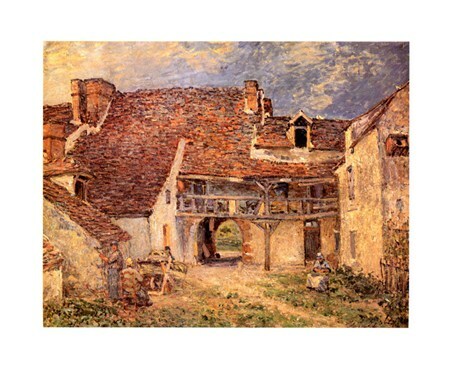 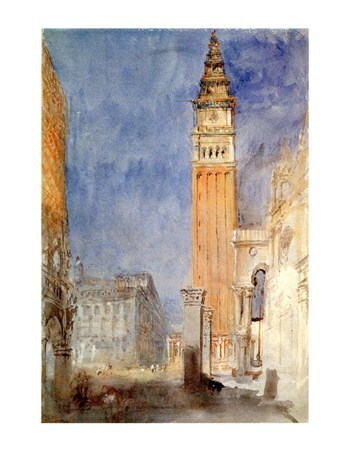 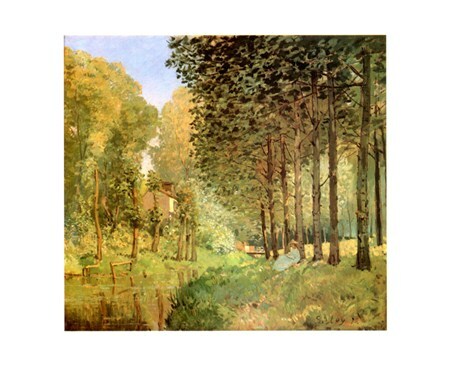 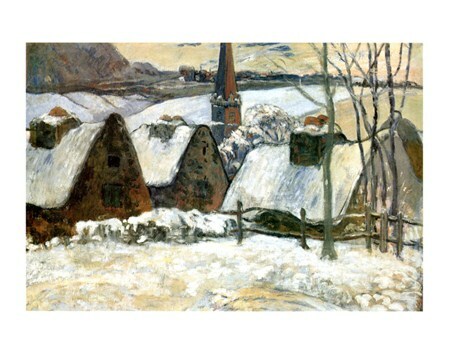 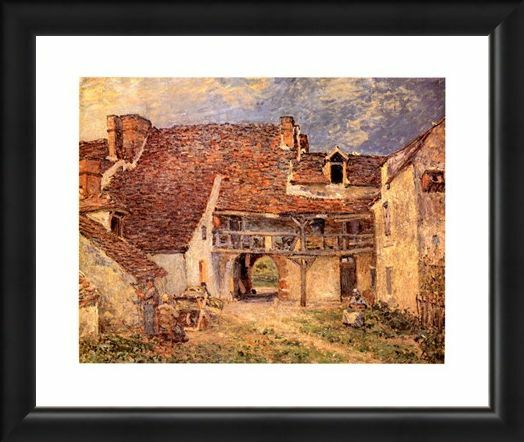 Art Print: Alfred Sisley was as artist best known for his consistency in the impressionist movement, always painting landscapes and outdoor scenes. This wonderful print is called 'La Cour De Ferme' (Court Farm) and it features a lovely old barn set in the country side. 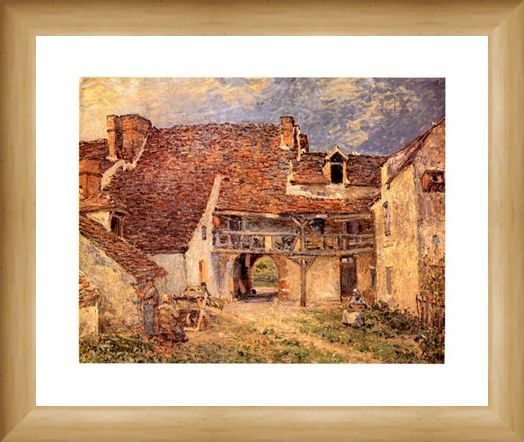 This picturesque farm house is perfectly portrayed in the impressionist style and the brick work and tiles really stand out with their generous brush strokes. 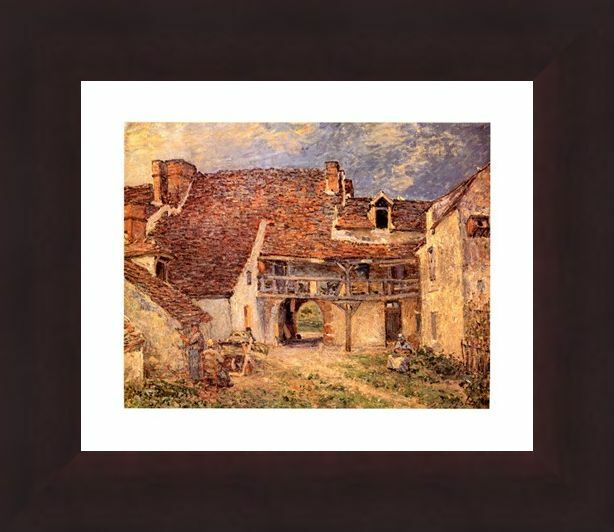 Amongst the old barn stands a farmer and two helpers as they go about their daily chores. 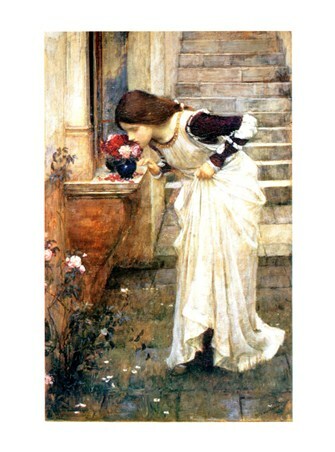 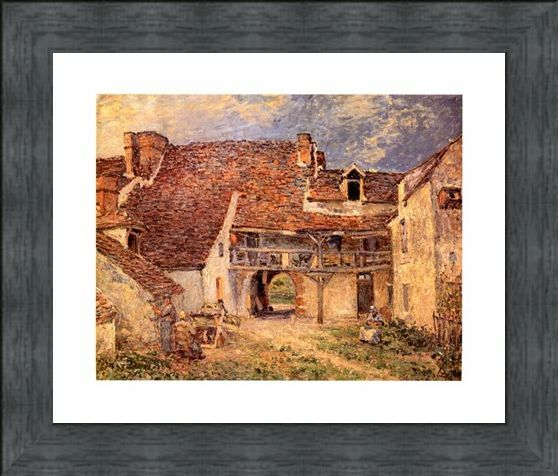 This wonderful piece will really bring a homely feel to your room and make for a unique piece of decoration. 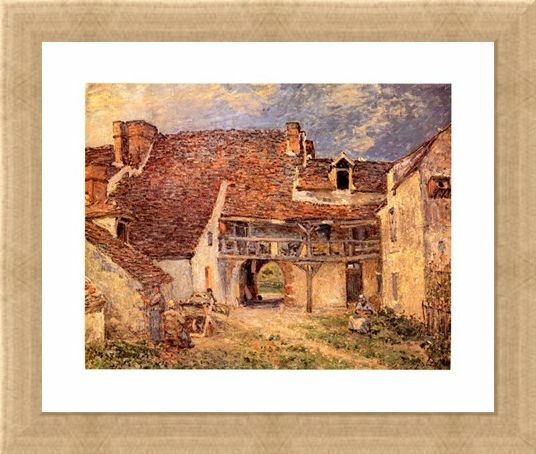 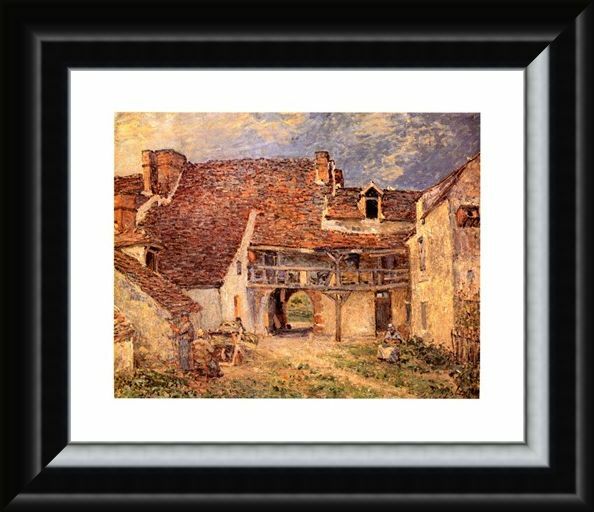 High quality, framed La Cour De Ferme, Alfred Sisley mini print with a bespoke frame by our custom framing service.